Summer is quickly approaching. On some days in Arizona, it feels like it’s already here. Sunny days are ahead. Now is the time to start thinking about sunscreen. Wearing it all year long is a great idea, but for those who think about it more when they feel the heat, now is the time. 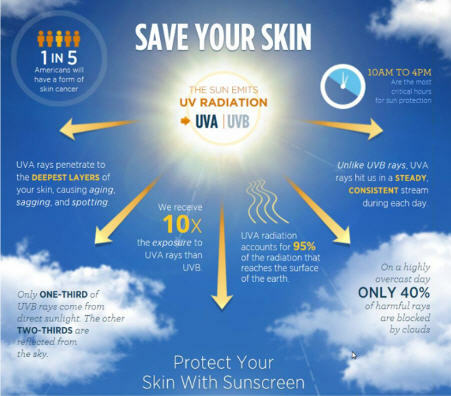 Sunscreen will help you reduce and avoid that exposure. Choose a sunscreen that has a high SPF. What is that? SPF stands for Sun Protection Factor. Although there seems to be controversy on this, generally the higher the better. A sunscreen with less chemicals in it, for many, is a better choice. Have fun in the sun, but be proactive and take steps to protect yourself and your whole family by buying and using a high quality sunscreen. Martha maintains RobardsHealthyLifestyles.com , which is a health and wellness information website that promotes healthy living and products for healthy living. For more information contact Martha at marthapmintl@gmail.com or 505-750-7847. Be an educated and informed consumer. Check the ingredients and compare prices. You will not be sorry. For more information, contact me (Martha) at marthapmintl@gmail.com, or 505-750-7847.